Young Thug's Instagram is filled with gems on a daily basis. While his Instagram Story is typically filled with snippets of unreleased gold, his IG Live Sessions show a bit more of his personality. The rapper interacts with fans while handling his regular day-to-day duties, whether it's locking in studio time or hitting the mall for a little shopping spree. Most recently, the rapper hopped on Instagram Live with his girlfriend, Jerrika Karlae who taught him that dog's have periods, prompting a hilarious reaction. Young Thug may have landed the funniest moment of the week after he found out that dogs have periods. The ATLien was chopping it up with Jerrika on Instagram who was walking her dog. "She's on her period. She's gotten her period," she told Thug who was utterly confused at the idea. "Period...?" He said under his breath. "A dog. What you tryna -- that's a dog. Crazy," he continued while still shocked at the fact. 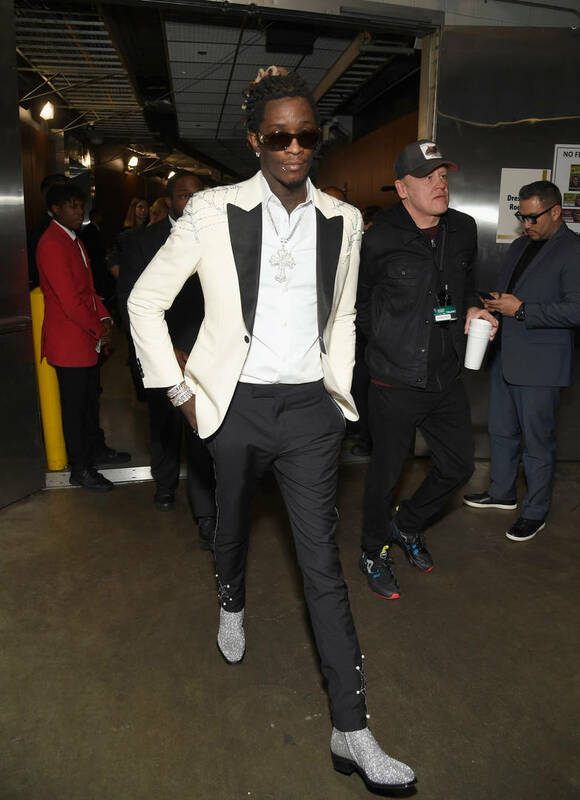 In other Young Thug-related news, the rapper recently revealed that he's currently working on an album which he's yet to announce a release date for. The rapper teased some new music off of the project last week which included a track featuring the rising Compton star Roddy Ricch.